WAKIKI is all about ensuring the customer experience is top notch and memorable. From exciting recipes, new serving suggestions to quality food, the founders Timi and Fuad are passionate about great food and quality service which is evident when ordering from WAKIKI. 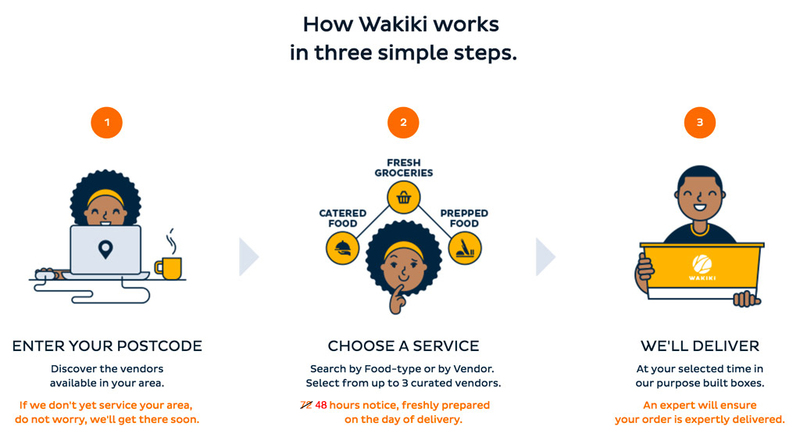 Ordering from WAKIKI is easy! Simply enter your postcode, choose a service, choose your choice of food and select from 3 different chefs and leave the rest to WAKIKI to ensure it gets to you! As an online hub, WAKIKI carefully selects and curates chefs of high-quality Afro Caribbean food. The chefs are recommended and then personally vetted before they go through WAKIKI’s onboarding process. Have the pleasure of three expert chefs at your beck and call to craft selected dishes especially for you! Start your order today! Click here.